Not everyone recognizes the Natuna Serpent Eagle as its own species, but rather consider it a sub-species of the Crested Serpent Eagle. 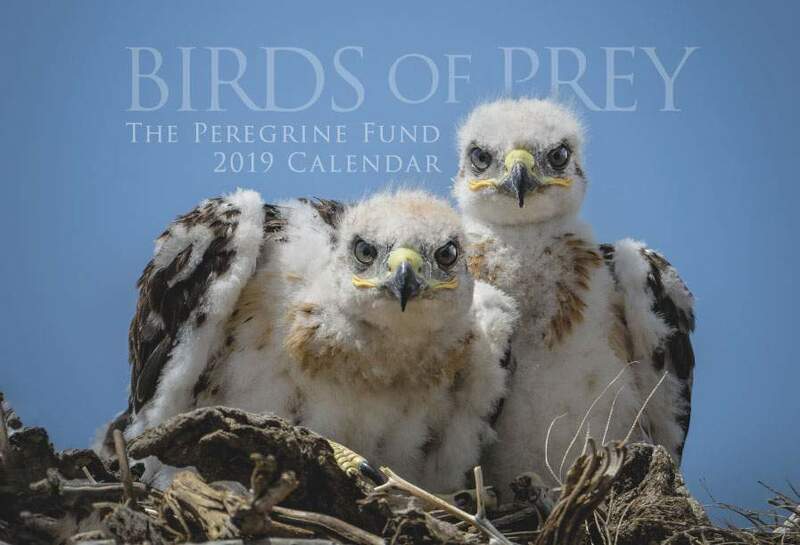 Though The Peregrine Fund doesn't work directly with Natuna Serpent Eagle, our efforts in scientific research, habitat conservation, education, and community development help conserve raptors on a global scale. We also supply literature to researchers from our avian research library, which helps scientists around the world gather and share important information on raptor conservation. Like the Galapagos Hawk and the Ridgway's Hawk, the Natuna Serpent Eagle is an island endemic - meaning it is found only on one island or island chain and nowhere else on earth. In the case of the Natuna Serpent Eagle - it is found only on the islands of Natuna Besar, north of western Borneo, and Belitung, located between southwest Borneo and S,umatra in Indonesia. This beautiful eagle is found most often on wooded hills and and in semi-open country. The Natuna Serpent Eagle has long wings and a realtively short tail, which is overall black with a wide white band in the middle and fine white tip. It is overall light brown, with spotting on the lower belly and legs. It has a darker back and a black, bushy crest. 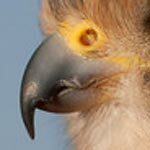 The cere and lores (the area between the bird's eye and its nostrils) are yellow. The status of the Natuna Serpent Eagle isn't very well know. 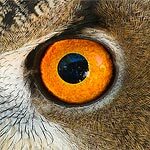 The good news is that there isn't any real evidence of people hunting these raptors for food, sport, or to protect their domestic fowl from predation, or of capturing them for the illegal bird trade. However, this doesn't mean that this raptor still isn't facing some difficult challenges. Perhaps the largest threat to the speices is major loss of its habitat. This is due to mining, the expansion of plantations for Palm Oil, and human encroachment, among other factors. Though no one really knows for sure, scientists believe that the Natuna Serpent Eagle most likely feeds on reptiles, including snakes and lizards. It might come as a surprise to learn that very little information exists on the breeding biology or habitats of the Natuna Serpent Eagle. We need more researchers to study this species so we can learn more about it before it disappears. The World Center for Birds of Prey offers fun ways to learn about raptors. Interactive activities, tours, interesting videos and a children's room with activities from coloring sheets and quizzes to costumes and a touch table are available for the curious mind. We also have several different birds of prey on display year-round, including Fancy, an Ornate Hawk-eagle, a Bald Eagle and a Harpy Eagle. Come for a visit, where our knowledgeable staff and volunteers are on hand to answer any questions you may have about Natuna Serpent Eagle or other raptors.